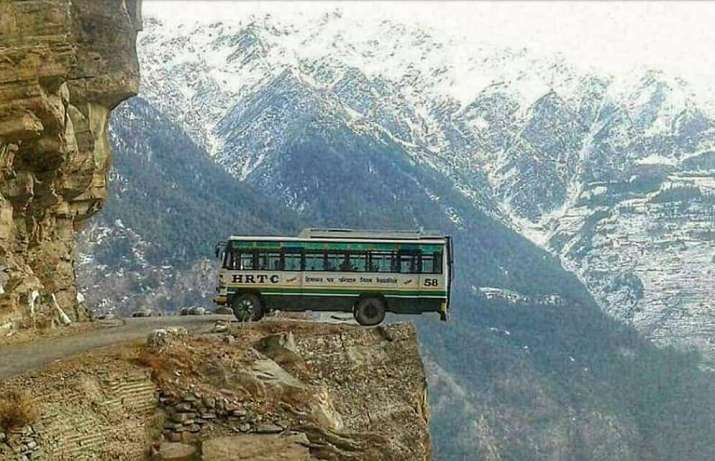 Pindu Sherari, the lady who shared the video captioned it as, ” Scary bus ride in the Himalayas but what an adrenaline rush,” shows a minibus passing through the scary terrains of Himalayas. In the video, you can see the man saying, “The drop to the river is approximately 2000 feet,” while he laughs and go gaga at the situation. The fear and the fun are well evident in his voice.